There is no denying that traveling can be exciting, but it can also be hectic at times. Whether you’re digging through your clothes to find a shirt, or trying to find the shampoo you know you packed before you left, if you’re not organized you can waste a lot of time trying to find what you need. Here are some tips to keep you well-organized during your travels so you can spend less time being frantic and more time enjoying your vacation. How long are you going to be on your trip? What will the weather be like? Will there be a lot of walking around and sightseeing, or just relaxing? Do you have to be somewhere at a specific time? Once you have that figured out, make a list of what you will be doing each day. This helps you to figure out if you need sneakers or snow boots, a tank top or a sweater, and everything in between. Knowing how long you will be on a trip will also help with how many outfits you will need to take with you. Bonus Tip – If you’re traveling by a plane, pack an extra outfit in your carry on. There is always a chance your luggage will get lost. When traveling, things can get a little crazy, especially if you are moving from hotel to hotel. You want your clothes to be accessible and actually fit in your suitcase. Bonus Tip – You can organize your outfits using Ziploc bags. Take the rolled items and group them with what outfit they belong with and store it in a bag. This makes it easier to grab out of the suitcase when you’re ready for it. Shoes are bulky, so it’s best to get them packed first. Make sure they line up together like you would see a new pair of shoes in a shoebox. 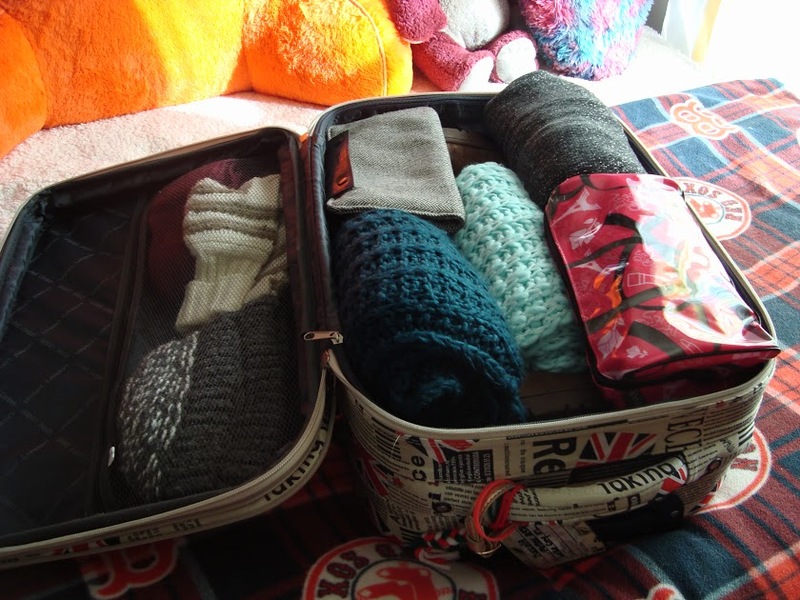 Start filling the luggage with your Ziploc bag outfits and other things you will need like scarves and gloves if you are traveling in the winter. Bonus Tip – If you are worried about your shoes getting your clothes dirty put them into a plastic bag before you put them in your luggage. You can do this by storing them in a toiletry bag or just a plastic bag, but make sure you separate them from your clothes because they could leak. It’s also good to pay attention to the products you use every day so you will know exactly what you need. Bonus Tip – If your favorite item doesn’t come in a travel size, get small plastic bottles from the dollar store to fill with your must-have items. If you are taking a carry on with liquids, be sure they meet the TSA size regulations and are in a clear bag. The thing to remember is if you forget something, you can always buy it when you get there.